It was mentioned with Plato’s later dialogues that Plato revered Parmenides as well as Pythagoras, but in giving a form of the good, he is much more Pythagorean than Parmenidean. It is complicated, however, as Parmenides did say that Pythagoras was right about the form of the world, but that this form was an illusion. 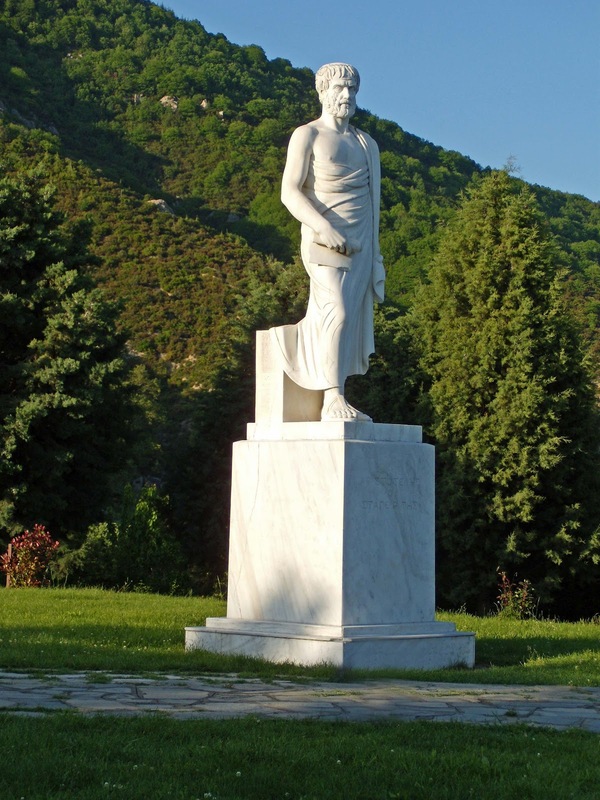 Plato’s dialogue the Parmenides, in which a young Socrates encounters Parmenides and Zeno and debates with them about whether or not there are ideal forms or a distinct form of the good, is known to be one of Plato’s most challenging dialogues. While Plato has Socrates argue that there is indeed a form of the good in other late dialogues, in the Parmenides Socrates is not able to counter Parmenides, and in the end is undecided as to whether or not the good has a distinct form. Recall that Parmenides argued that the One, the only real and true thing, has no differentiation in it at all, all difference being an illusion. 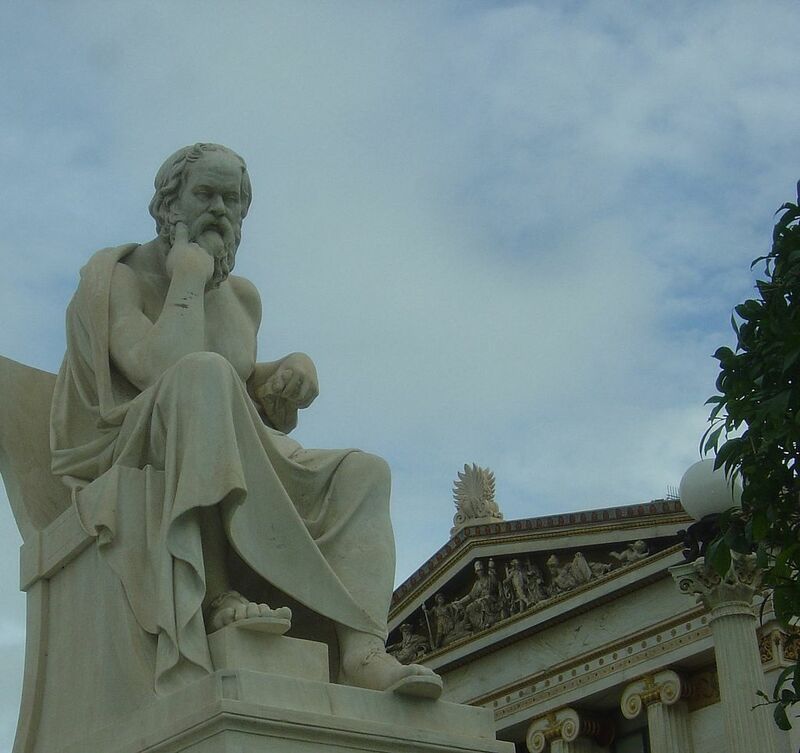 Some scholars believe that the dialogue is incomplete, and that Socrates would have proceeded to prove to Parmenides that there was indeed a form of the good. In the Timaeus, Plato argues through his character Timaeus that rationality arrives at the singularly real, which is eternal and unchanging. The One, identified with nous/mind, unfolds into a model which the Demiurge, identified with logos/spirit, uses to actively create all the temporary things of the sensory and unreal world. Ancient and modern scholars have debated for centuries whether Plato believed that the plan was more properly of the One or of the Demiurge. If the One formed the plan in mind, and then spawned the Demiurge, then there is indeed differentiation in eternal static being, and Plato is more Pythagorean than Parmenidean. If, on the other hand, it is the Demiurge and its logos/speech that is the locus of the differentiated form, then there is no difference in eternal static being, the Demiurge is itself part of the temporary and the unreal, and Plato is more Parmenidean than Pythagorean. Perhaps Plato saw it much as Parmenides, that Pythagoras was right, but only about the formation of the real and unreal as a pair, and so all particularity, including that of the forms and the Demiurge, are unreal and illusion. If we view things from below, then Heraclitus is right about the lowest, the temporary and chaotic, and Pythagoras is right about the highest, the eternal and formative. However, if we view things from the very top, then only Parmenides is right about the eternal beyond the motions of the formative. Just as previous Greek philosophers subsumed the positions of those before them, showing how their positions were somewhat right but somewhat wrong, Plato may very well be stacking Parmenides atop Pythagoras, and Pythagoras atop Heraclitus. Heraclitus rightly understands the shadows of the cave, Pythagoras rightly understands the fire at the mouth of the cave, but only Parmenides rightly understands the Sun. 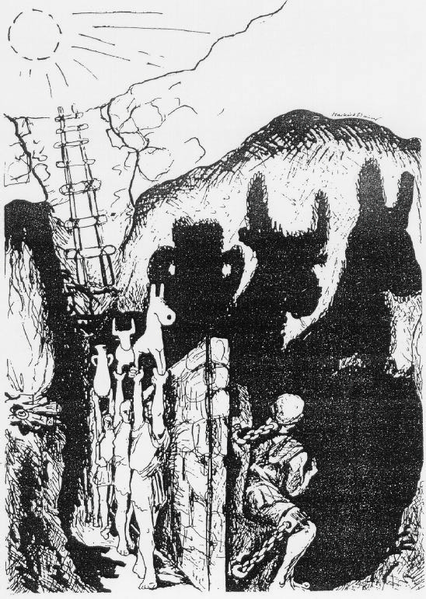 This, however, creates a new problem: How is it that there are forms above and beneath the fire, both the true forms of things and the shadow puppets? Is it that, like Parmenides argued, that Pythagoras is right about the forms of things, but even the difference between the true things and their false copies is itself part of the shadows, part of the illusion? 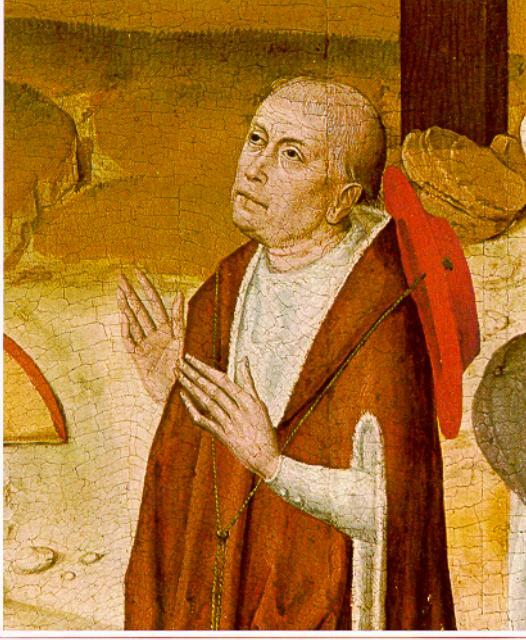 What if the Demiurge, like Pythagoras, is unable to see the unity of the model and the things, of the eternal and the temporary. Perhaps we can view reality as an illusion, like Heraclitus, as distinctly real and illusion, like Pythagoras, and as real and illusion without distinction, as this distinction would itself be unreal, like Parmenides argues? All three of these thinkers believe the One to be eternal, and all three believe the sensory world to be illusion. Is Parmenides the most foolish, who denies the truth and reality of everything we see, or is Parmenides the most wise, who encompasses the truth and illusion of illusion itself into the singular and eternally true? 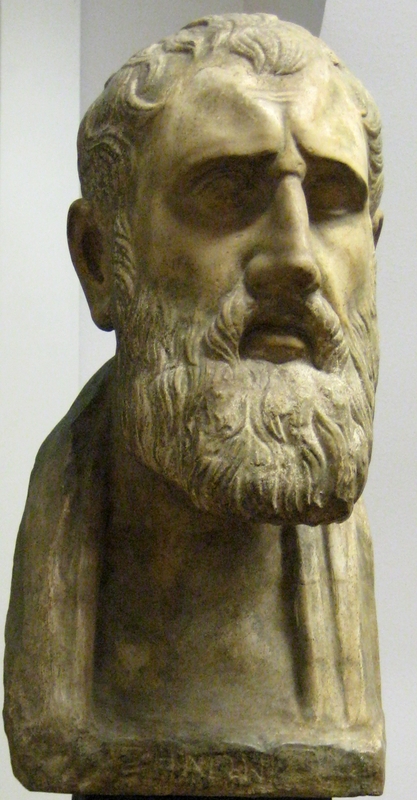 Perhaps Zeno understood Parmenides best, and knew that Parmenides never hoped to free us from illusion with words and distinctions, but wanted to show us the underlying unity of illusion and truth, to show us the impossibility of distinguishing anything without contradiction and illusion. Plato’s Parmenides begins with Socrates challenging Zeno. Zeno argues that sameness can not be different, and difference can not be similar. Socrates says that we can get over this contradiction by distinguishing the eternal forms from temporary things, the temporary things participating in the forms relatively. Just as things are themselves one and many, being singular things with many parts, so too are the forms one and many, particular forms that themselves are unified in the One itself. Socrates says that he would be impressed if someone were to show that the forms themselves are contradictory and have contrary qualities. Parmenides then proceeds to dominate the rest of the dialogue, and as with the Pythagorean Timaeus now Socrates becomes a ‘yes-man’ interlocutor who is instructed by one wiser than he. 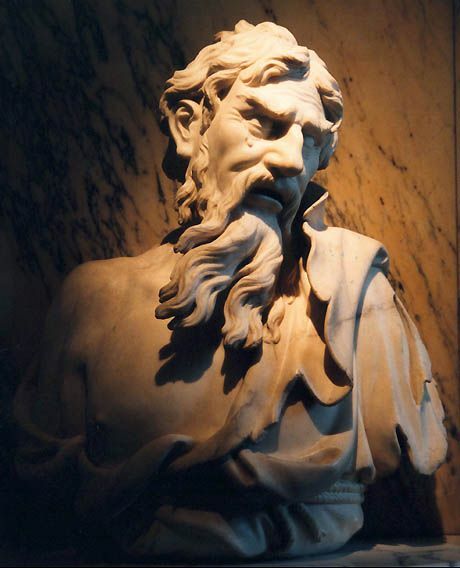 Parmenides asks Socrates what forms he is endorsing, and Socrates replies that (like a Pythagorean) he believes that there are mathematical forms and ethical forms of virtue, but he is not sure whether or not all things, particularly mud and hair, have ideal forms. 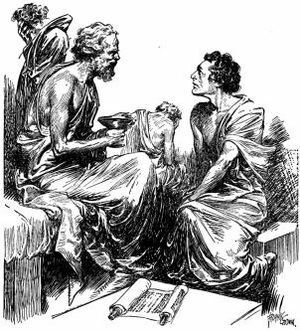 Parmenides tells the young Socrates that, after he is older and wiser, he will have come to see the truth of the things that he asserts. Parmenides then brings several arguments against the position that there are distinct forms of things that are simply real and eternal, arguments much like those we examined previously with the Eleatics. First, Parmenides asks Socrates how many things can participate in a form at once. If a form is present in many distinct things, then the form must be many, and not one. Let us use the example of the form of horses to illustrate these arguments. If there is a form of horses, which all horses on earth participate in equally, how can this similar equality be the same if each horse exists in a different location? Parmenides uses the metaphor of a sail covering many people, arguing that the sail does not touch each person at the same point, but each person in a different place. If no two horses exist in the same location, how can the form of horses not participate in each horse differently? Socrates replies that it does seem that many things equally participate in a form. 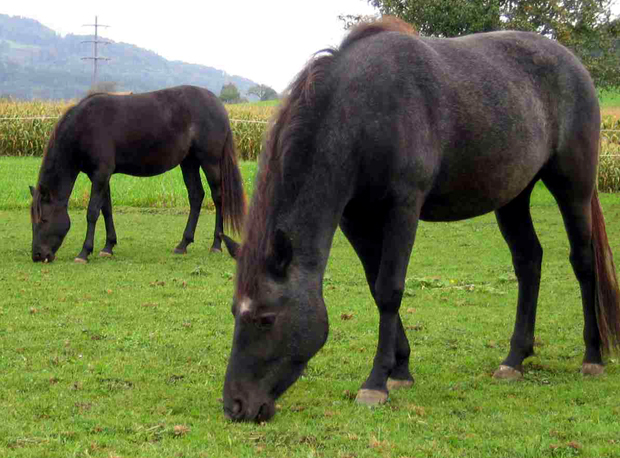 Horses do all seem to share the same identical form, even if they are in different places. Parmenides then asks Socrates if a form itself has a form, if it has its own form, participating in itself. 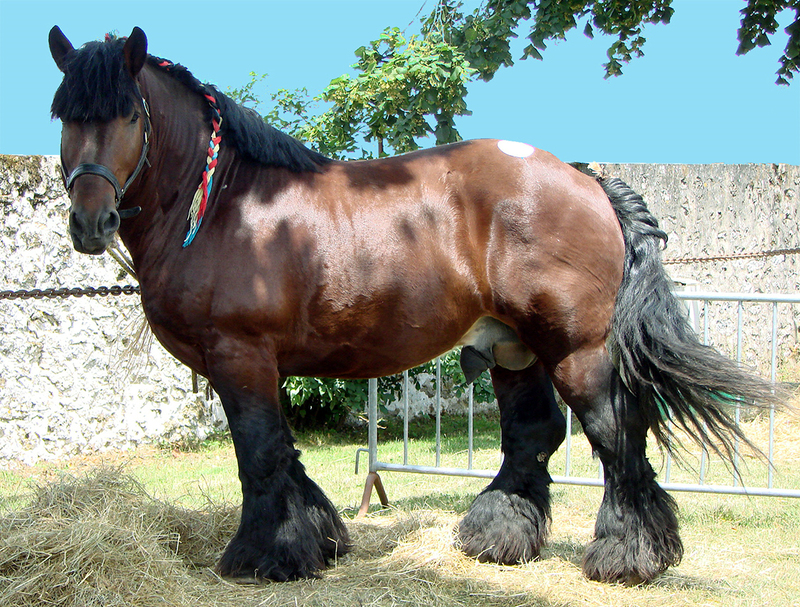 To use our illustrative example, is the form of horses itself shaped like a horse? Recall that Parmenides and Zeno were known to argue for the contradictory nature of place, and that if a place has a place, then its place must have a place, which has a place, leading to an infinite regress. Similarly, if the form of a horse has the form of a horse, then its having the form of a horse itself participates in the form of a horse, leading to an infinite regress that never resolves itself in a static and complete form of horses (which now includes the form of the form of horses). Here there is an interesting parallel with Russell’s Theory of Types, which he hoped would resolve a contradiction he found in Frege’s Set Theory but instead resulted in an additional contradiction. Frege believed that he could give mathematics a pure foundation dealing only in sets of ideal abstract objects, quantities without qualities. 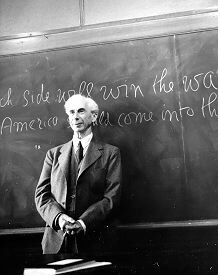 Russell showed that “the set of all things that are not members of themselves” created a paradox. If it was not a member of itself, then it was, and if it was, then it wasn’t. Russell proposed that sets of sets should not be called ‘sets’, but ‘types’, and so the contradiction would be resolved, as the set of sets that are not members of themselves would be a type, not a set. However, as critics of Russell’s pointed out, this creates a further contradiction, as a set of sets is not a set, both a set and not a set. Similarly, Parmenides is arguing that a form has its own form, and if we say that a form does not have its own form, how can it have its form so that it gives this form to other things? Aristotle believed, like Parmenides, that Plato’s forms would have to have forms of forms, ad infinitum, resulting in an infinite regress. This became known as his Third Man Argument. Why a third man? Recall that Plato, like Aristotle and many other Greek philosophers, believed in a teleological universe, and that the heavens were alive with purpose. Just as Timaeus argues that the universe is a living organism, in which there are many living organisms, Plato’s form of a man is itself an ideal man, a living being. If this ideal man himself has the form of a man, this creates a “third man”, and so on, ad infinitum. Parmenides follows a similar course as he continues to question Socrates, asking Socrates if thoughts themselves think, if the ideas themselves have higher ideas. Considering the form of Plato’s cave and cosmos, the One is the great mind/nous that conceives of the Demiurge and ideas/forms, which then themselves conceive of the temporary sensory things below. Conversely, we then from below participate in the ideas and in the One. Parmenides argues that, just as a place must have a place, which leads to an infinite regress, and a form must have a form, which leads to an infinite regress, an idea must have a higher idea, which leads not to a static One, a highest conceiver/idea, but to an infinite regress. Parmenides openly asks Socrates that if we are conceived by ideas, which are conceived by God or the One, then who conceives of God? We know that Parmenides does assert the existence, indeed the exclusive existence, of the One which is a singular monotheistic being, but he is showing Socrates that if there is any difference between ourselves and the ideas and the One, then this results in contradictions and infinite regress. Thus, there can be no distinct ideal forms. 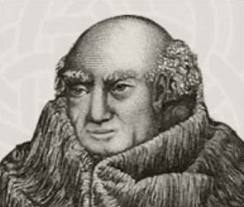 Later Neoplatonists such as Eriugena argued that we conceive of the One, and the One conceives of us, in a reciprocal relationship, closing the loop such that it is both infinite, without end, and finite, closed and reciprocal, though Parmenides would argue that this understanding is contradictory and would not permit multiple and ideal static forms. Finally, Parmenides confronts Socrates with what he calls the “greatest difficulty”. If we only know things by knowing their forms, then we only know the forms by knowing the form of the forms. If the forms of forms leads to an infinite regress, then we cannot know the forms. On the other hand, if the form of forms is the One itself, as Plato has suggested in the Timaeus, and the One itself does not have a form, does not have a conception of itself higher than itself, then we cannot know the forms, as we cannot know the form of the forms. Either way, with an infinite regress or a terminus in the One, there is no ability for human knowledge to completely grasp the forms of things, and so there is no ability for human knowledge to completely grasp the temporary things themselves. Even worse, to the horror of Socrates, this would also mean that the forms cannot completely know us or any of the temporary things, and the One cannot know either us or itself completely. While Socrates says that saying God does not know things is “monstrous”, Parmenides tells him that he is not able to argue and understand because he is young and not yet trained properly. 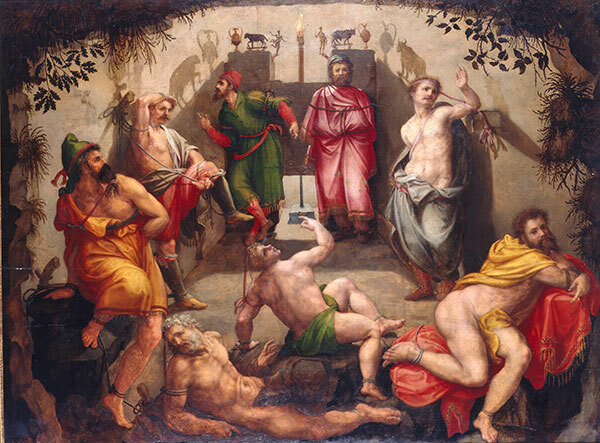 Later Neoplatonists such as Eriugena and Nicholas of Cusa wrestled with this very dialog and argued that God, the One, does and does not know itself, just as Hyperousia, Super-Being, is both being and nonbeing together as one, just as in Plato’s dialogues that are supposed to happen later, an older and wiser Socrates divinely knows that he does not know. Knowing and not-knowing are not distinct, the difference being an illusion, a shadow projected by the Sun that is one and the same as the Sun itself. The One is both one and many. The One does and does not exist. The One is the object of knowledge and is not the object of knowledge. The One comes to be and does not come to be. The One passes away and does not pass away. The One is in time and outside of time. The One is in the many and not in the many. The One has and does not have contrary properties. Ancient and modern scholars have come to no complete agreement as to the meaning of these paradoxes, somewhat unified and somewhat disunified in their interpretations. 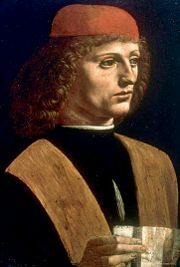 Medieval Christian Neoplatonists, such as Eriugena, Nicholas of Cusa and Ficino of the Renaissance in Florence, believed the Parmenides to be the ultimate expression of philosophy, Plato’s deepest text which springs from the well of the One itself. If, as some scholars have argued, the dialog is incomplete and Socrates went on to best Parmenides, this would be a great misreading of Plato’s work, but one I find quite beautiful. 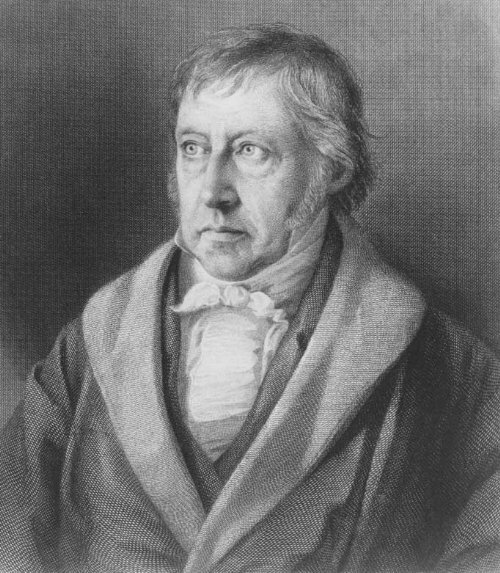 Hegel, one of the most influential of modern European philosophers, attempted to synthesize these contradictions in a system that would be the ultimate and complete philosophy, a unification of humanity and science with the mind of God, mediated by spirit which works in stages through history and culture. This, of course, would be another trinitarian formation of mind, spirit, and desire, an attempt to complete the work of the Republic and Timaeus by resolving the contradictions of the Parmenides in the One. Much of the European Continental tradition of philosophy has continued until today to wrestle with Hegel and his dialectical system, accepting many of his insights but rejecting any final resolution of a complete system. 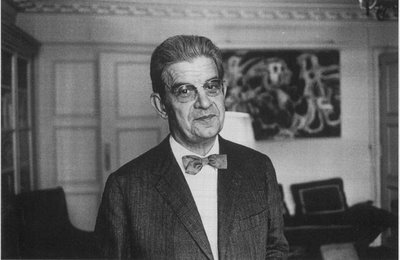 Lacan, the influential French psychoanalyst, argued that the Real, the true whole underlying our superficial ‘reality’, is completely contradictory and our understandings are incapable of capturing it to one side or the other along any dimension. Thus, any conception, any understanding, even the whole of scientific theory, is a mere image, a projection like the shadows on the wall of Plato’s cave. The basic condition of humanity is narcissism, our insecurity resulting in attachment to images of ourselves, of things we desire and of our understandings of things we desire, a basic inability to be open to the whole and the process. 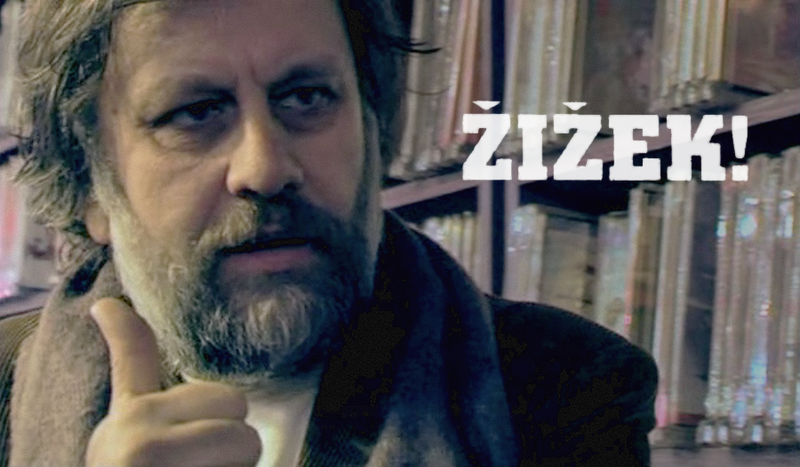 With the Timaeus, I mentioned that Zizek, one of the more respected continental philosophers today and a devoted follower of both Hegel and Lacan, wanted a “third pill”, not one that distinguishes reality from illusion but shows reality as illusion, shows reality as ideology. This is similar to Plato’s Parmenides, who led Zeno, Socrates and Aristoteles through contradictions to show them that truth and illusion, reality and fantasy, can never be fully distinguished.